It's true – this may be the most important election year of our lifetime, but not just because of what's happening at the federal level. Many voters are overlooking an essential piece to the puzzle. Are you aware of what is going on in your own backyard? Currently, 45 percent of all government spending takes place at the state and local levels, and that number increases every year. Just a few months ago, we witnessed the single largest municipal bankruptcy in American history when Birmingham, AL declared that it could not pay its debts. Surely, more irresponsible cities and counties are sure to follow as public sector pensions, liberal programs, and out-of-control spending cripple local governments across the country. Entire cities are staring bankruptcy in the face, and, as I told you a few weeks ago, the Left is trying to elect 5,000 more government-expanding liberal politicians to local and state office! As the Left continuously works to grow local and state government's influence in our lives, America's eyes are locked on the presidential race. Doesn't this seem wrong? As an American dedicated to the cause of liberty, you know where we truly need the best candidates – in state and local races. American Majority exists exclusively to find and train new grassroots candidates for these exact offices, and with your generous support, we have consistently delivered victory for our trainees over the past four years. In this crucial election year, will you show your support for the next generation of state and local conservative leadership by pledging $5, $10, or $25 per month to support their training from now until Election Day 2012, until the job is done? 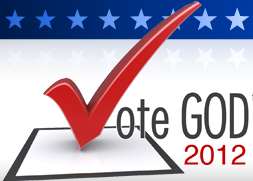 American Majority, with the help of over 530 local Tea Party and 9/12 groups nationwide, has already identified over 5,000 conservative candidates to run for state and local office in 2012. With American Majority's battle-tested training and resources, these candidates will be prepared to run successful campaigns, which will allow them to implement sound-minded, responsible policy in the governments closest to us. And in just a few years, we look forward to seeing those same leaders implement responsible policy in Washington. But these new leaders cannot succeed without your help. At American Majority, we have chosen to dedicate ourselves to the identification and training of new leaders around the clock, every day from now until Election Day 2012. To achieve victory this year, we must labor every day until the job is done, eleven months from now. Will you make a commitment today to sponsor these New Leaders until Election Day, and see their work through to the end by pledging $25 per month to fund their training? President: $100 per month will fund an expansion of our local candidate manuals, empowering candidates to run for city council and county commission and win. These governing bodies are in desperate need of small-government representatives, as local government debt continues to build year after year. CEO: $250 per month will fund an AM training in all 12 AM-identified battleground states in 2012. American Majority will be working harder than ever to empower the grassroots in 2012, seeing this year through until the job is done. We ask you to do the same, and commit to sponsor American Majority's trainees for the next eleven months. Together, we can restore prosperity and preserve liberty for our great nation. Want to support our cause? You can help to stop the liberal assault on your local government by supporting American Majority as it pledges to provide the conservative grassroots with the invaluable resources they need for victory. Your support has a direct, tangible impact. Can you contribute a small amount today to ensure we reach more people in 2012?